Today we're going to talk about my favorite Makeup Revolution palette, the New-trals vs Neutrals palette which I was super excited to get my hands on since the day that it launched in the UK. Eventually the pallet hit the states and I ordered it on the day that it was available on the Ulta website. About two months ago Makeup Revolution sent me a second one of the palette so that I could review it with you guys, but since I ready have my own I'm going to share my very beloved palette and I'm going to hold onto the one they sent me to giveaway. Let's take a few moments just to enjoy the Makeup Revolution New-trals vs Neutrals Palette shall we? The shades in this palette for me are what dreams are made of. That was a picture of my Makeup Revolution New-trals vs Neutrals Palette way back when I first bought it and shared it on Instagram and below you can see what it looks like now after months and months of use. As you can see this is not one of the palettes that I just have shoved away, I truly do enjoy this pallet and can in no way believe that it is only $10 at Ulta. The Makeup Revolution New-trals vs Neutrals Palette comes in a beautiful black box with gold letters and I love how this is encased in a black matte case. The palette comes with a nice mirror, a double ended brush and 2 rows of shadows in glorious shades. A lot of people mention that this palette is more of a fall themed palette, but for me this is a year-round pallet for sure. I love the mix of finishes in the palette and I love you can find your regular neutrals as well as those pops of reds and corals on top. There is in fact a specific shade on the top (4th shade) row that I think of that Too Faced was totally missing in their Sweet Peach Palette. Personally I am a fan of cooler tones but warm tone shadows make my heart happy and the Makeup Revolution New-trals vs Neutrals Palette palette has it all. 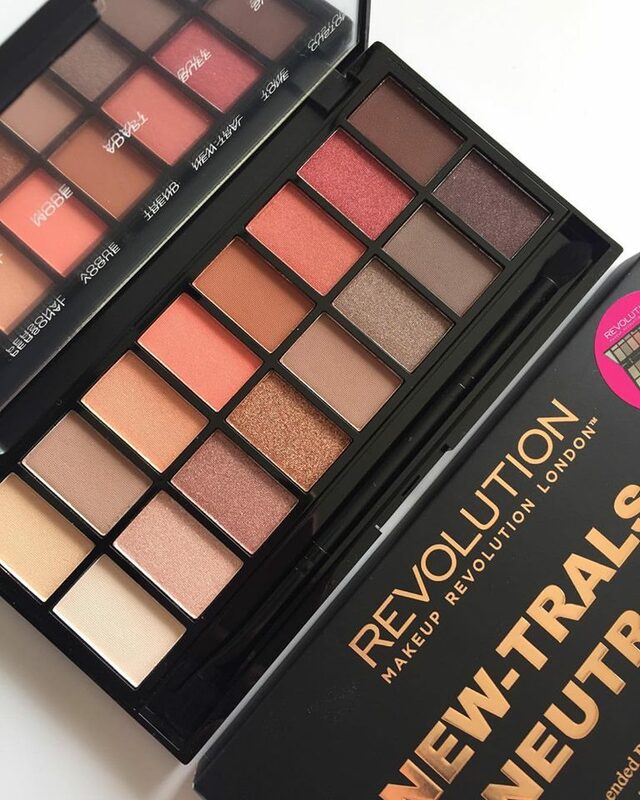 My Makeup Revolution collection is growing and at this point I own two of Makeup Revolutions 32-pan palettes and two of their Iconic palettes and this has to be my favorite of them all. If you were to ask me which Makeup Revolution palette you should start with as a newbie to the brand, I would have to say this would be the one. 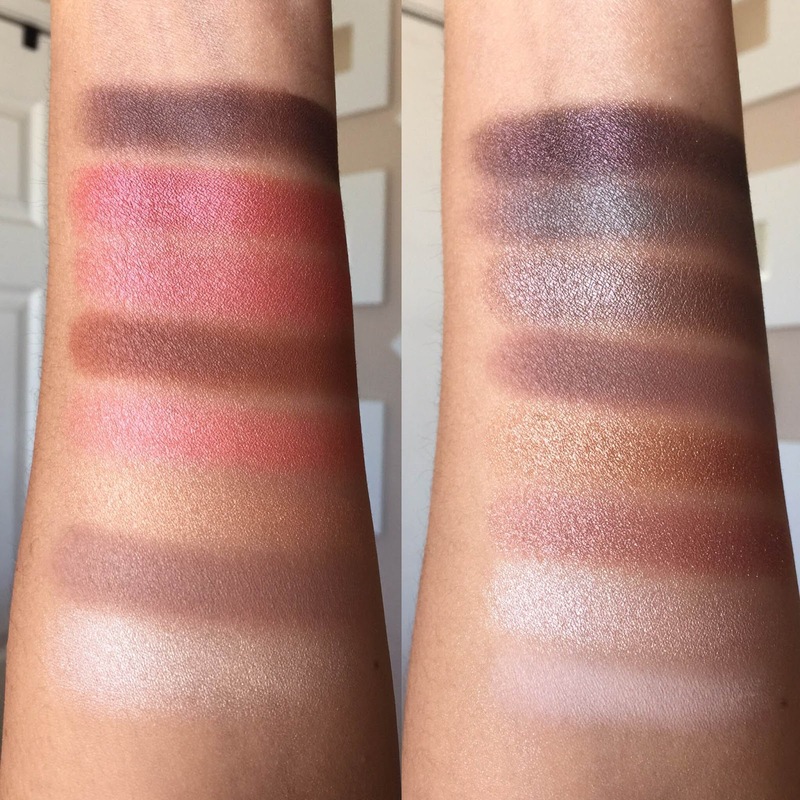 Now let's take a look at the swatches so that you can see why I am so smitten with it. I find that both of these roes are very nice and for the most part the eyeshadows are all very easy to build and have great pigmentation, plus the shimmers are just stunning. The only shade that really gives me any problem is the last one on the top row and that's just because I always have to build it more than the rest. Once you build it up it is a beautiful shade but I just find it is a little sheerer than others. The real stand outs for me in this row are the first shade, that's the one at the very bottom and the three coral/red shades. The second row is also filled with very beautiful shades and I have a really hard time picking a favorite. FYI: there was no primer used for these swatches and as you can tell they truly are beautiful shades, especially those shimmers. 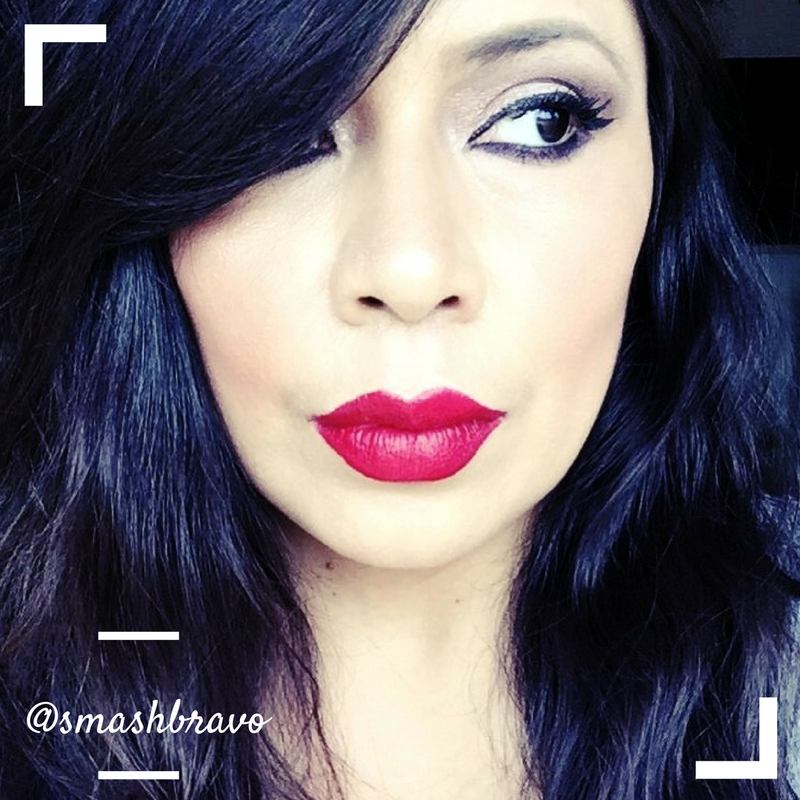 Overall I am a big fan of the Makeup Revolution New-trals vs Neutrals Palette. I find myself pulling this palette out pretty often, sometimes just to grab a shimmer shade to add to another look I am working on, or I will use it on it's own. I think it's an incredible value at only $10 and I think the two pops of red alone make it worthwhile. It's just a great palette. I do have a second palette that was sent to me by Makeup Revolution that I will be giving away, look out for that this week on my IG.